One of the greatest things about discovering something new is the path it leads us down and doors it opens into new insights and findings that we otherwise might have never known. An article we read leads us to a new author or book. A conversation we have leaves us "googling" something or someone we've never heard. A segment on the radio inspires us to learn more about a business or topic being discussed. Or, as most recently happened to me, a letter circulating via social media leads to the debunking of a myth surrounding its alleged author. Perhaps you've read it: Albert Einstein's letter to his daughter Lieserl regarding the "universal force" of love. It's a beautiful read, offering a universal message that speaks to the essence of the human condition and our incessant yearning to believe in love's conquering force. That such sentiments were seemingly written by Albert Einstein, the most revolutionary scientist of the 20th century, only solidified its potency and widespread appeal -- hence it going viral on social media. But, as we've been forced to learn in our rapidly expanding digital age, you can't always trust what you read on the Internet, particularly when it lacks an original source, as was the case with this supposed letter from Einstein. Struck by its beauty, however, I began researching its origins in hopes that it would confirm Einstein as the author and give way to a post about the unlikely musings on love from one of the world's most brilliant scientists. What I discovered, however, was a heap of controversy pointing to the fabrication of a letter falsely attributed to Einstein in an attempt to legitimize its words and message. 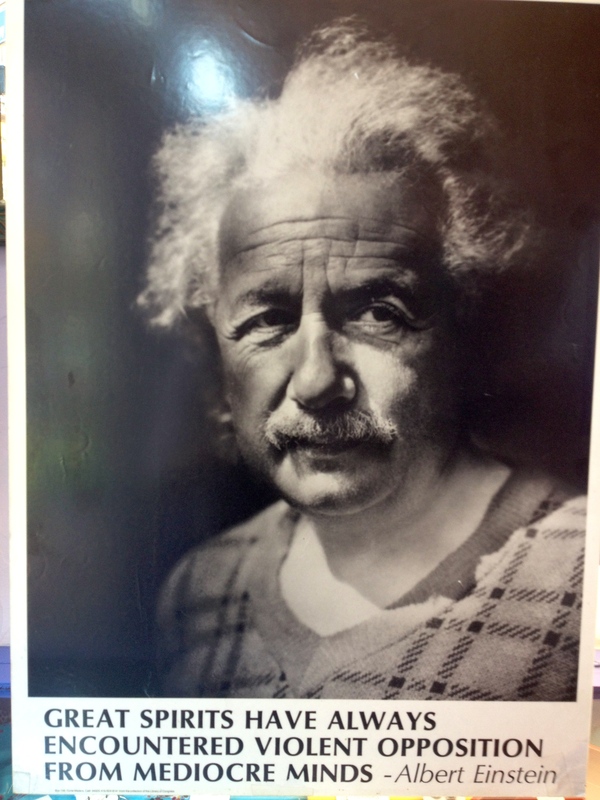 The preface of the letter explains that Einstein's daughter, Lieserl, donated 1,400 of his letters in the late 1980s to the Hebrew University with orders not to publish their contents until two decades after his death; this letter on the "universal force" of love was supposedly one of them. Interestingly, however, further research indicated that Lieserl herself might not be the most reliable source, given that very little is known about her. In fact, her existence was largely unknown to biographers until 1986 when a batch of letters from 1897-1903 between Einstein and his first wife, Mileva Maric, were discovered by his granddaughter Evelyn (in which Einstein mentions Lieserl; these letters were published in the book The Love Letters in 1992). Furthermore, a 1999 book by Michele Zackheim, Einstein's Daughter: The Search for Lieserl, argued that Lieserl was born with a mental handicap and died of scarlet fever in 1903 when she was nearly two years old (Lieserl was mentioned for the last known time in a letter from Einstein to Mileva on September 19, 1903). Others, however, have maintained that she was put up for adoption. After a search in Hebrew University's online archives (which houses the Albert Einstein Archives) and the Collected Papers of Albert Einstein failed to yield any results, I was nearly convinced that the letter was, indeed, fabricated. But, before resting the case, I turned to Diana Kormos-Buchwald, a professor of physics and the history of science at the California Institute of Technology (Caltech), whose name I happened to come across in an article in the New York Times while researching the letter. As director and editor of the Einstein Papers Project - which just last December launched The Digital Einstein Papers, making 5,000 documents spanning Einstein's first 44 years of his life available online - surely Dr. Kormos-Buchwald would be able to provide some clarification regarding the authenticity of this letter. "This document is not by Einstein. The family letters donated to the Hebrew University - referred to in this rumor - were not given by Lieserl. They were given by Margot Einstein, who was Albert Einstein's stepdaughter. Many of those letters were published in Volume 10 of The Collected Papers of Albert Einstein in 2006 and in subsequent volumes, in chronological order." As disappointing as it was to learn that Einstein didn't pen the letter, it was equally exciting to discover a plethora of documents I hadn't even known existed. What became a fervent search for validation evolved into an utter fascination by some of Einstein's authentic writings, many of which are, in fact, written to family members, friends and colleagues. While the question of who is behind the "universal force" of love letter still remains a mystery, part of the truth has been revealed - and that is what seems most important. That we always remember and strive to seek the truth in all things. That we not shy away from asking questions and challenging notions. That we remain curious. As Einstein himself once said, "The important thing is not to stop questioning. Curiosity has its own reason for existing." This post originally appeared on Katharine's blog All Things Good. Follow All Things Good on Twitter and Facebook.